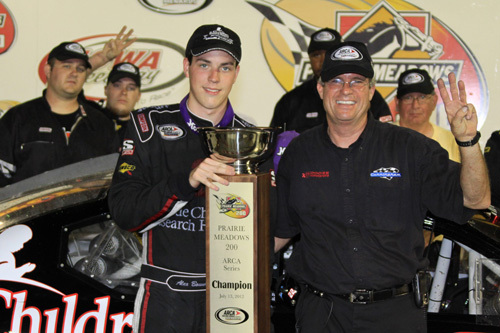 ﻿Alex Bowman and crew chief Paul Andrews celebrate winning the Prairie Meadows 200 at Iowa Speedway. 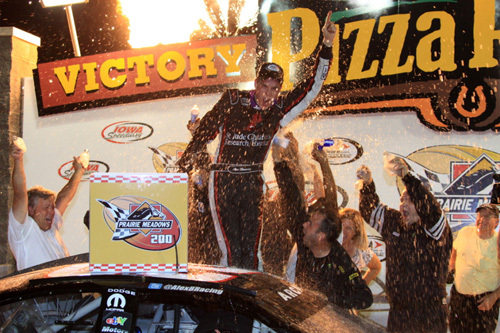 Bowman’s win was his third of 2012, which leads all ARCA Racing Series presented by Menards drivers, and the fifth of his 13-start career. 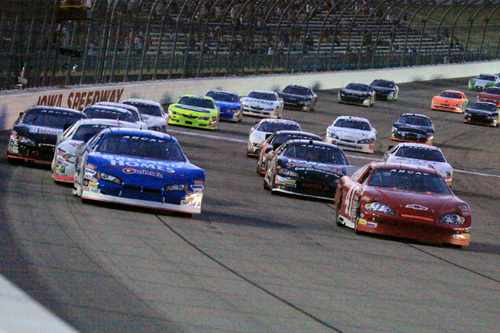 Alex Bowman (22) leads Frank Kimmel (44) shortly after passing for the lead at Lap 152 in the Prairie Meadows 200 at Iowa Speedway. 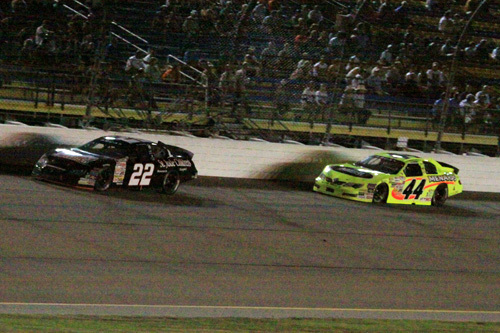 Grant Enfinger (blue, left) and Michael Simko (red, right) drive past the green flag at a restart late in the Prairie Meadows 200 at Iowa Speedway. 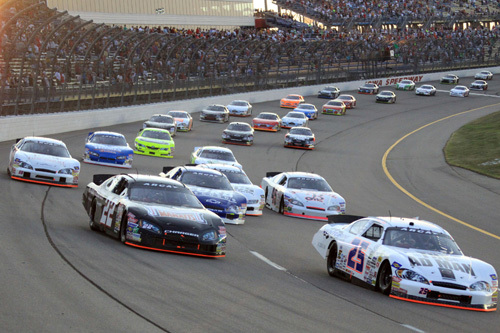 Brennan Poole (25, inside) leads Alex Bowman (22) at the start of the Prairie Meadows 200 at Iowa Speedway. Alex Bowman celebrates his win in the Prairie Meadows 200 at Iowa Speedway. Bowman’s win was his third of 2012, which leads all ARCA Racing Series presented by Menards drivers, and the fifth of his 13-start career.